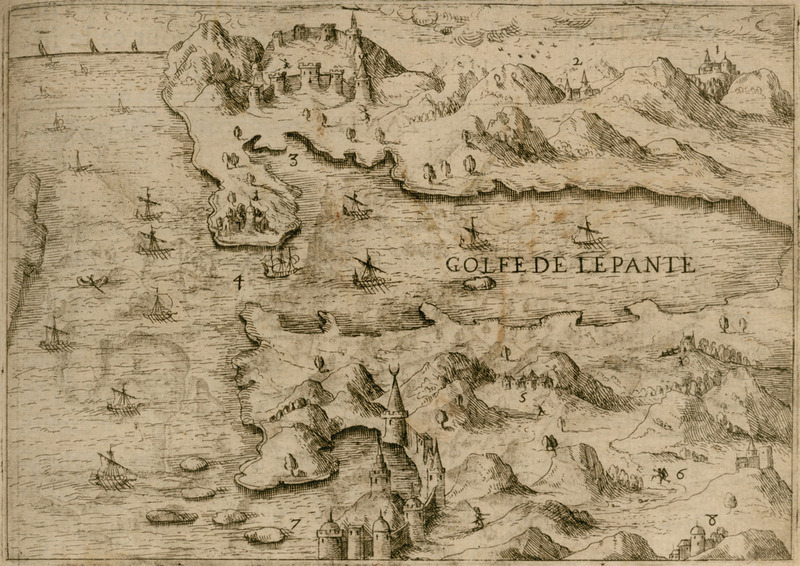 Map of the Corinthian gulf. 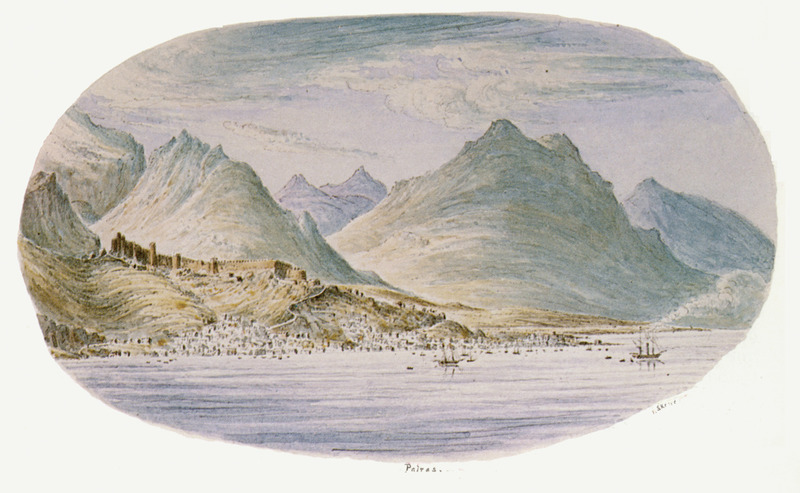 View of Patras from the sea. 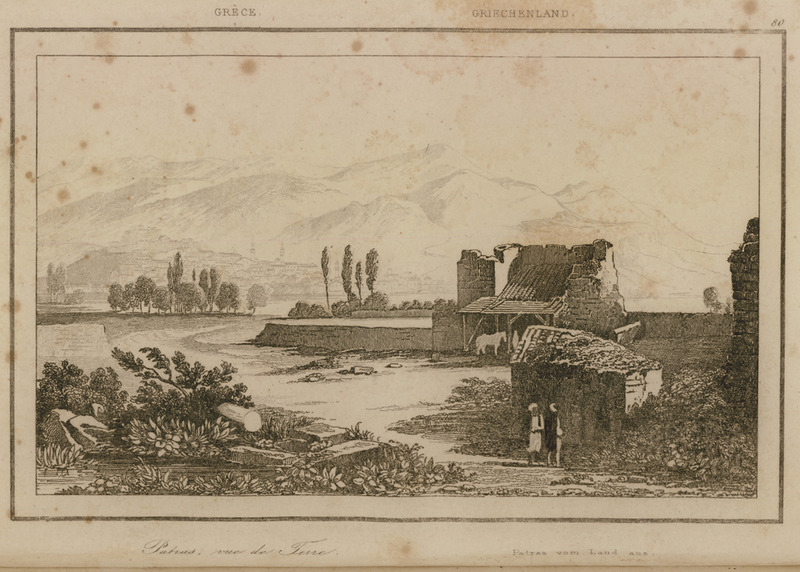 Rural house on the outskirts of Patras. 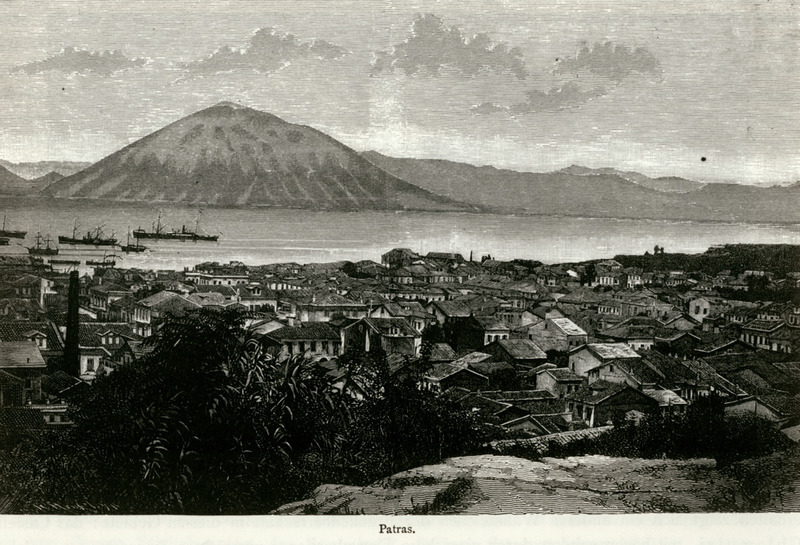 The city of Patras in the background. 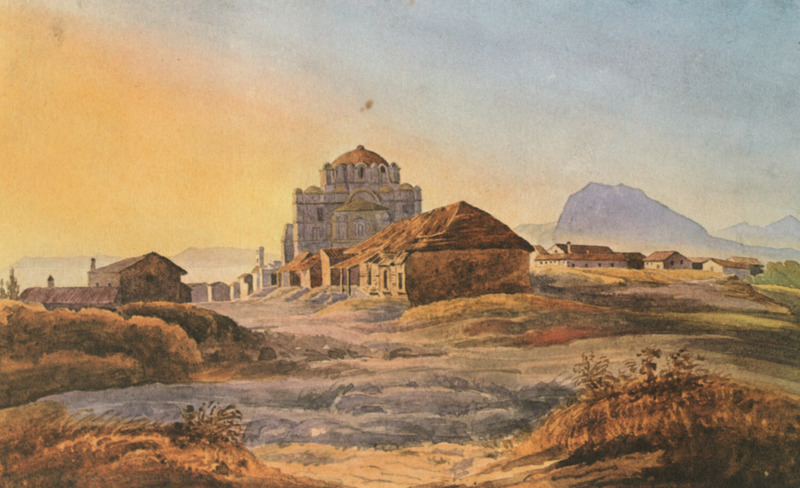 The Church of Pantokrator in Patras. 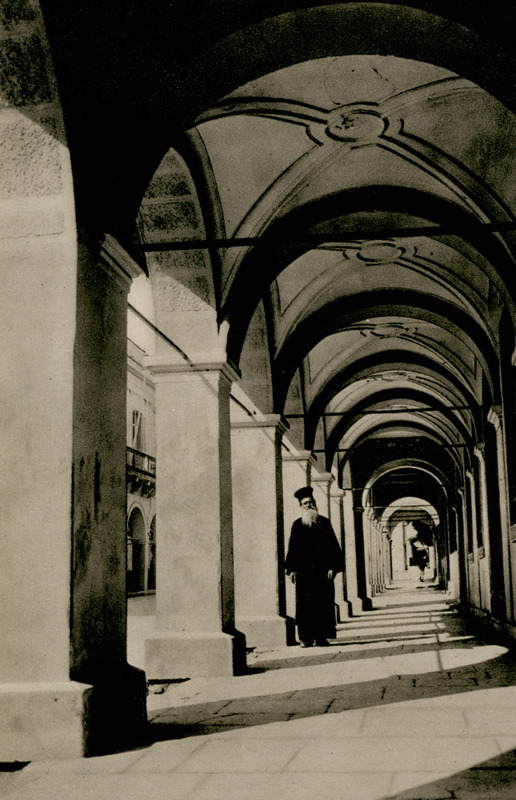 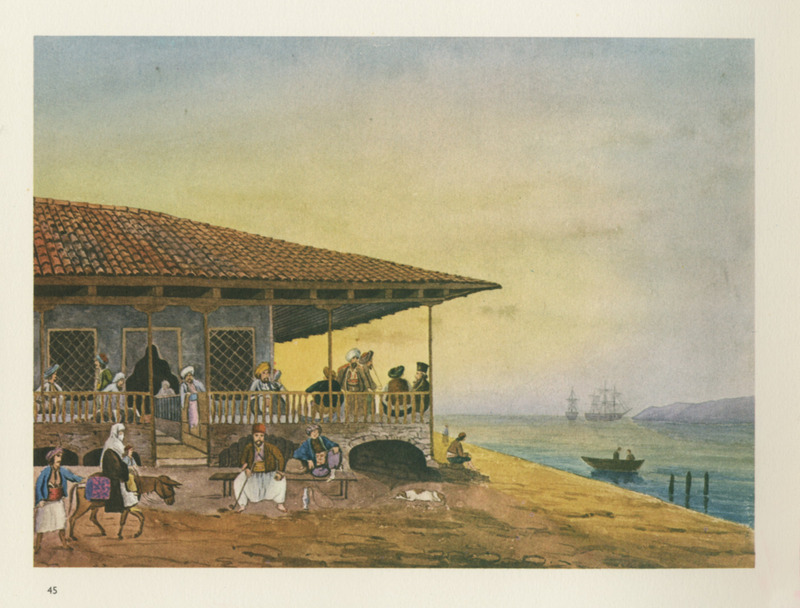 Gallery in central street of Patras. 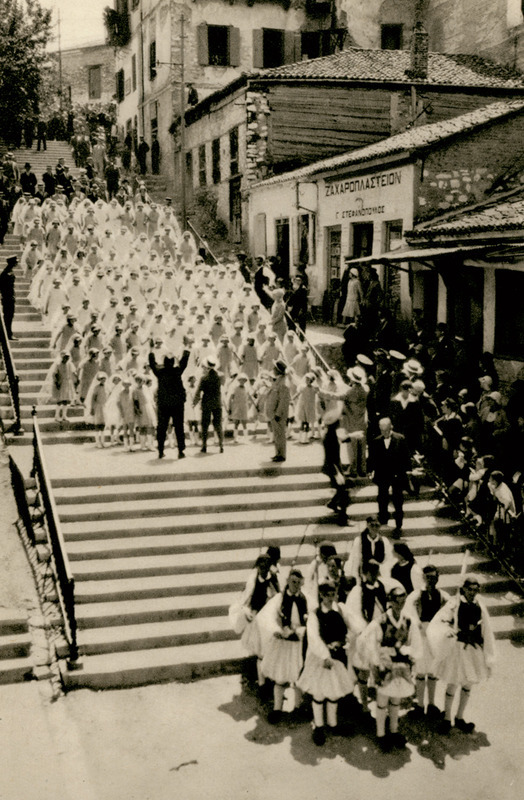 Snapshot from the celebration of the centenary of Greek independence in Patras. 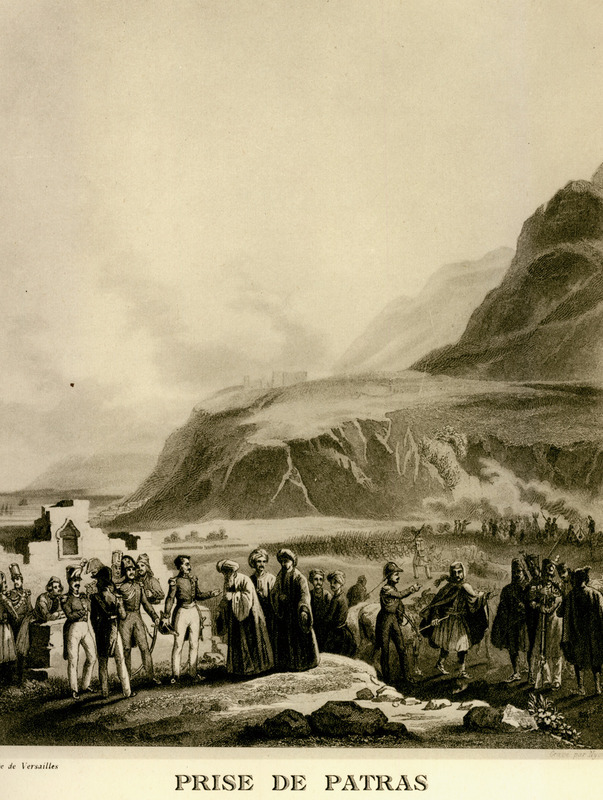 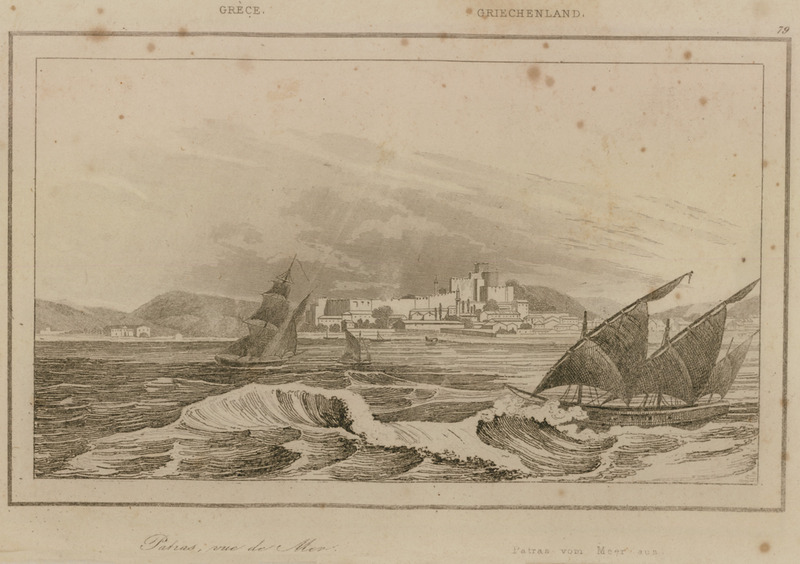 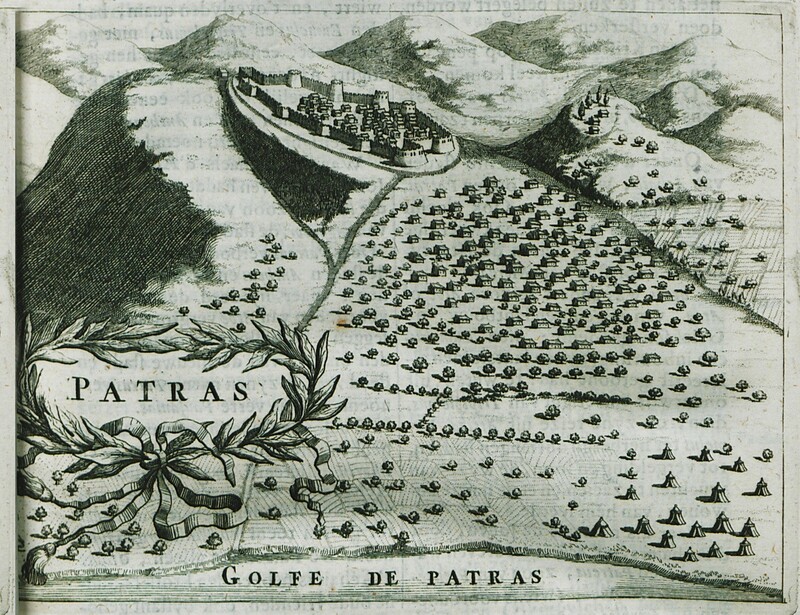 The capture of Patras, October 1828. 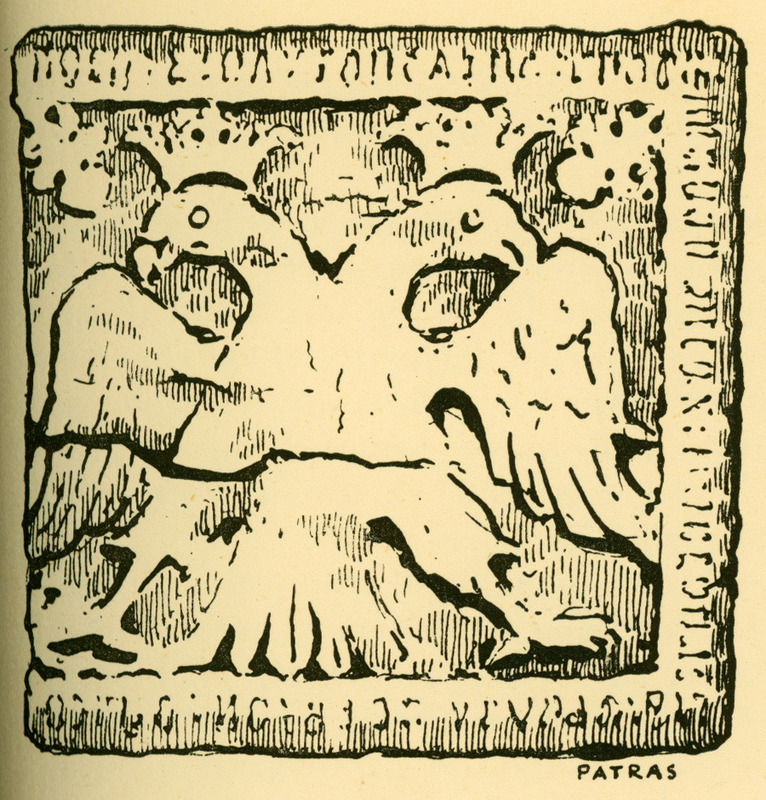 Medieval relief from Patras, possibly a coat of arms. 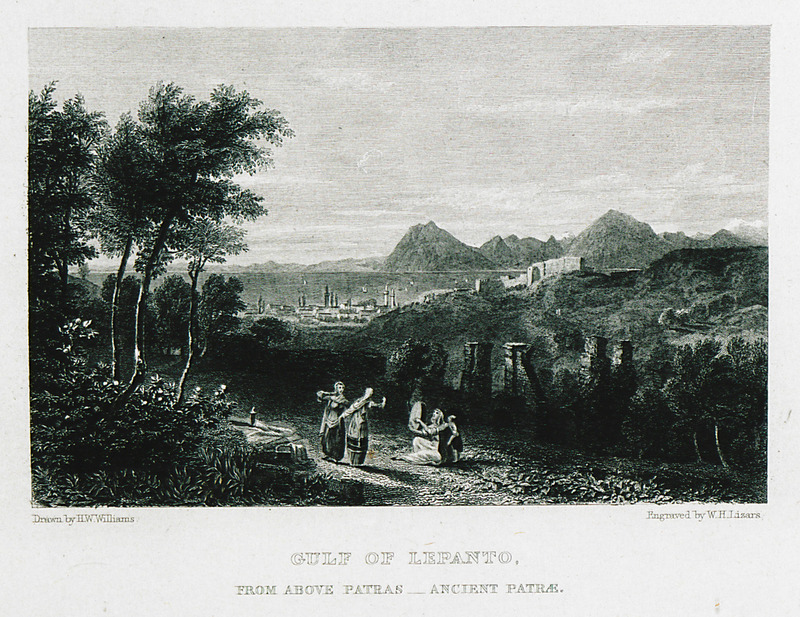 The spring of Demeter in Patras, also the site of the oracle of Demeter, today holy spring of Agios Andreas. 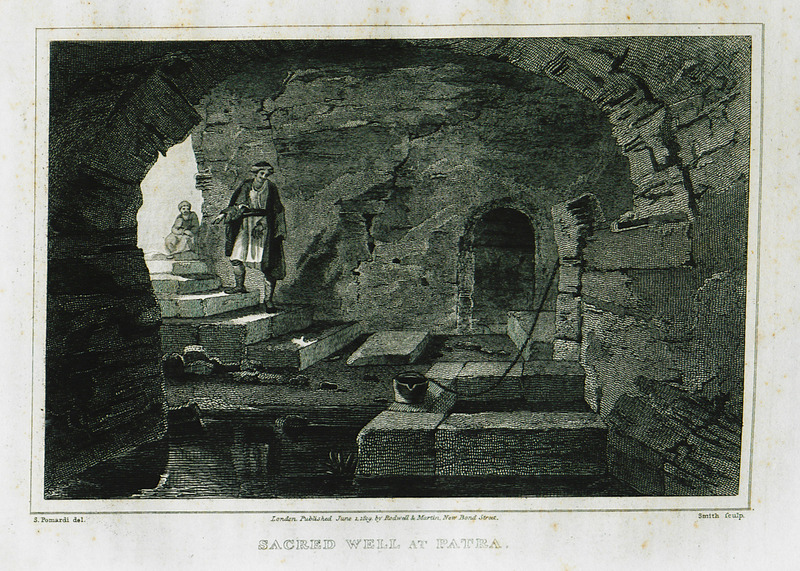 The sacred spring at the Oracle of Demetra in Patras. 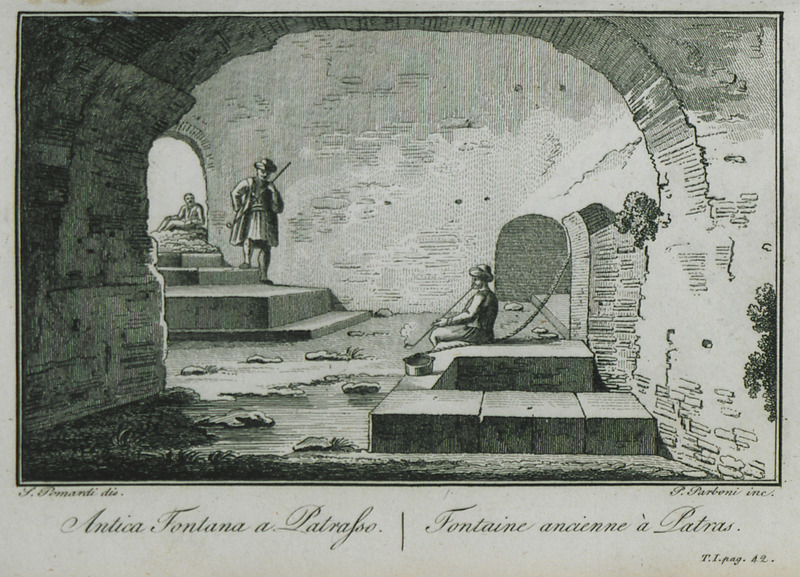 After Christianity, the spring became the holy well of Hagios Andreas Church. 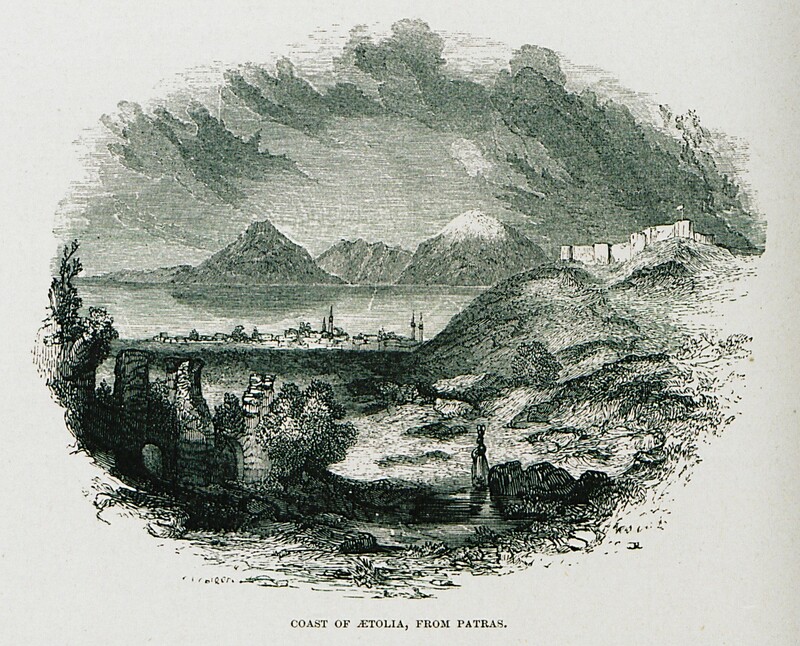 Coast of Aetolia, from Patras. 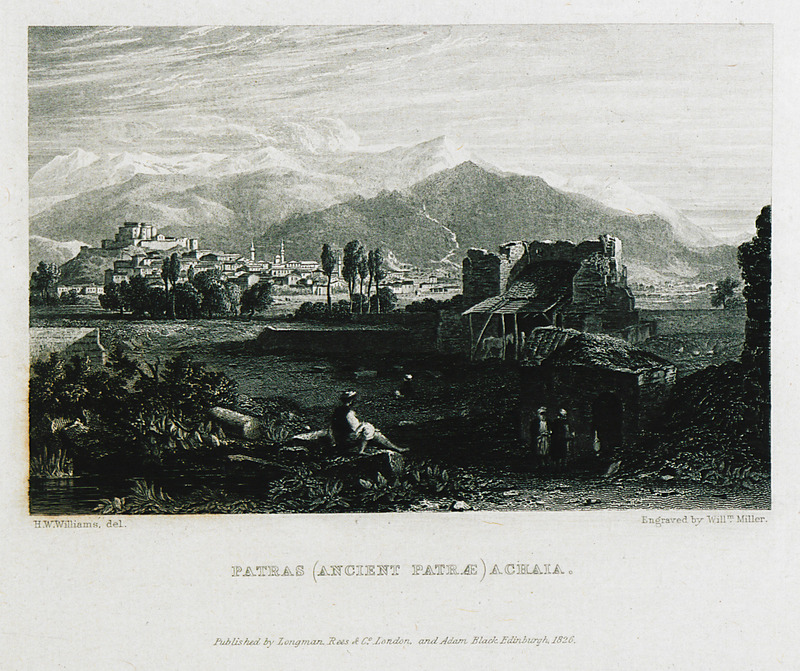 Remains of mosque buil on the site of a church at Patras. 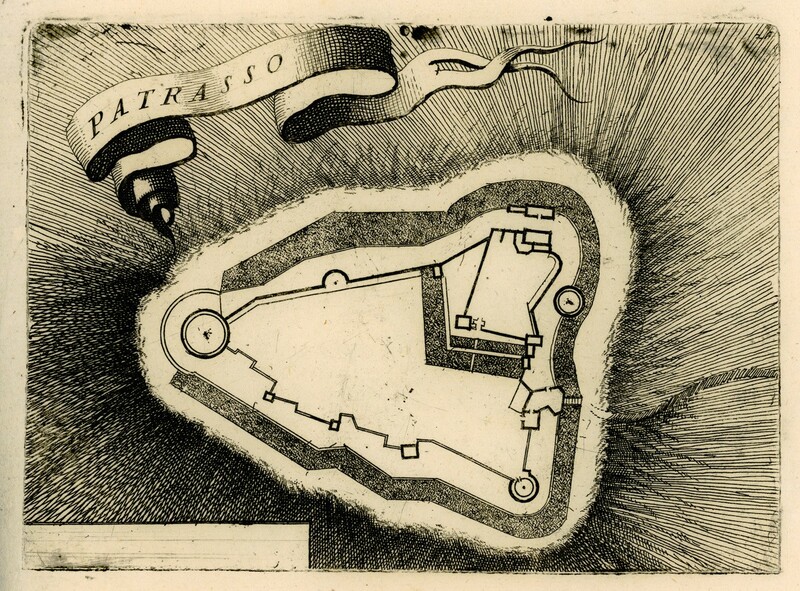 Floor plan of the walls of Patras. 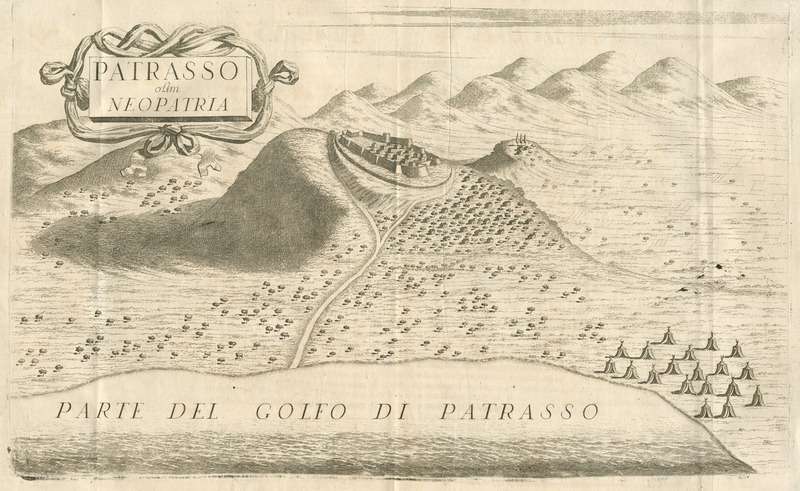 Gulf of Lepanto, from above Patras. 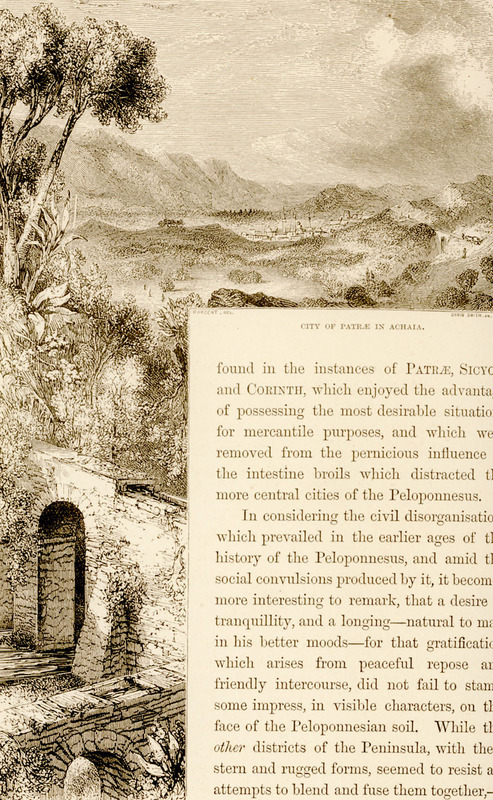 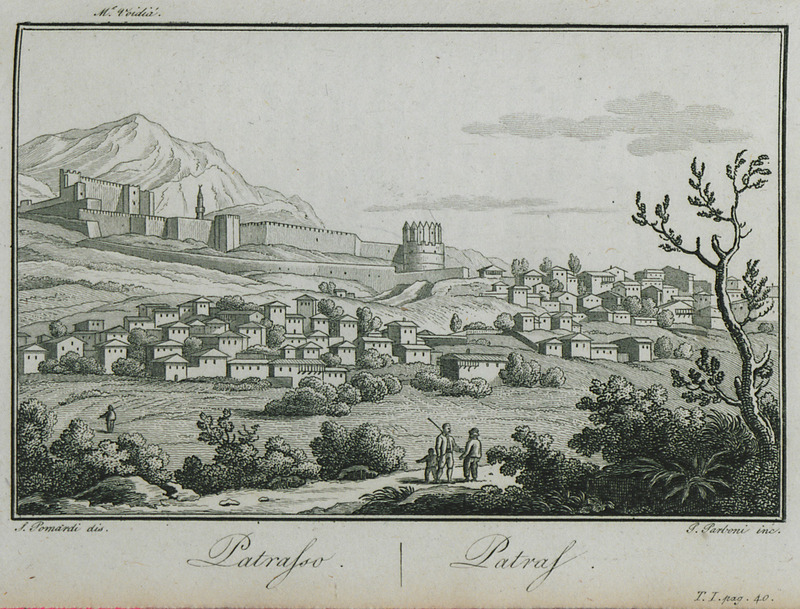 Ancient Patrae. 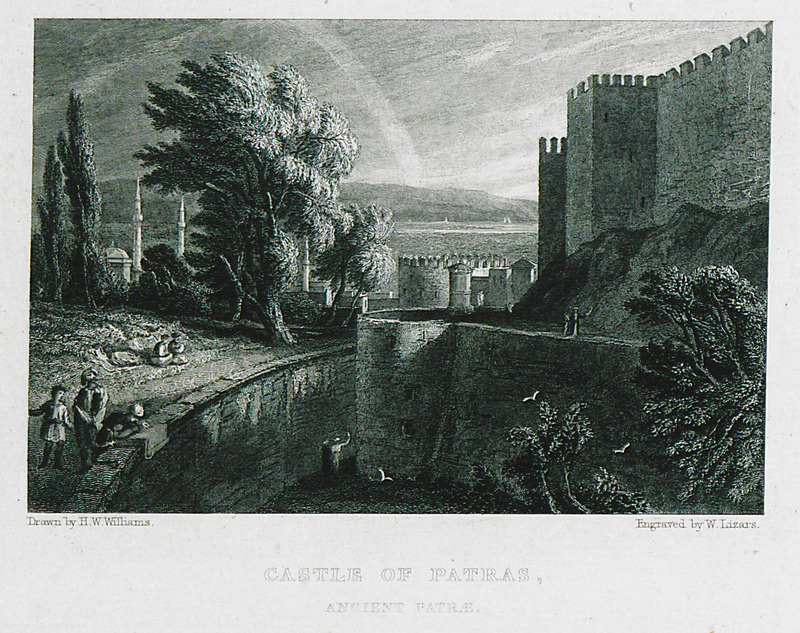 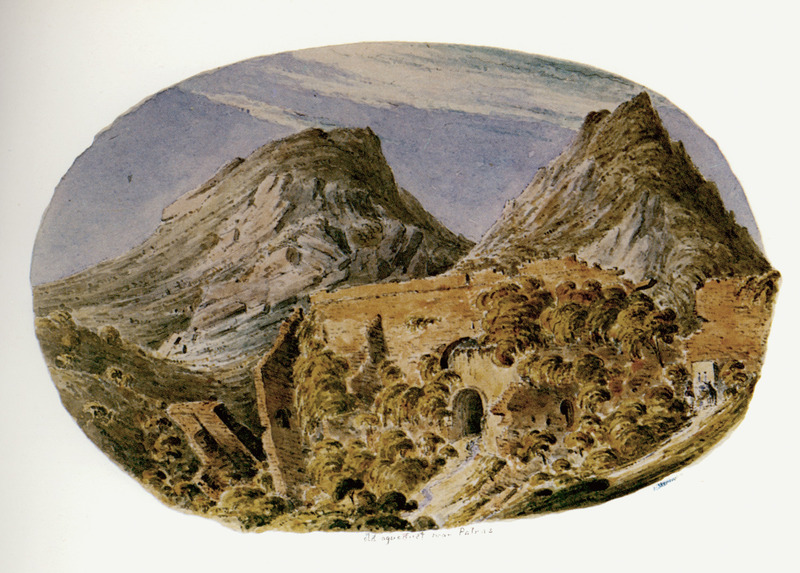 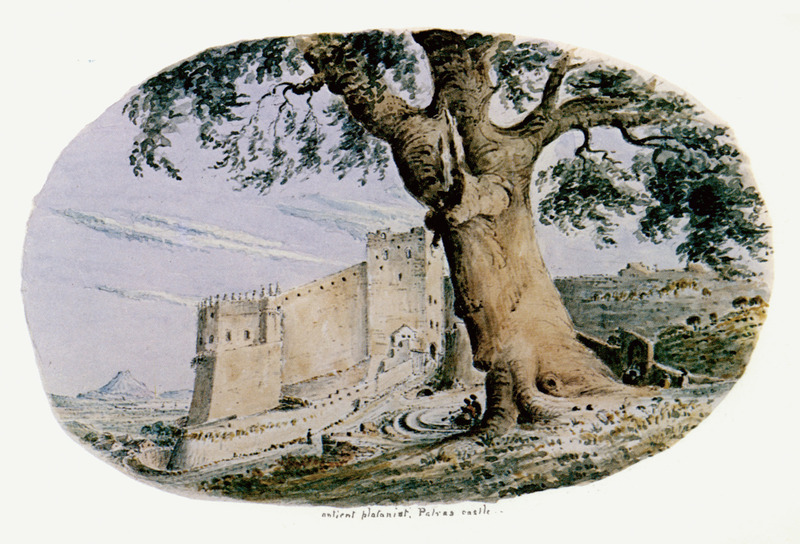 Castle of Patras, ancient Patrae. 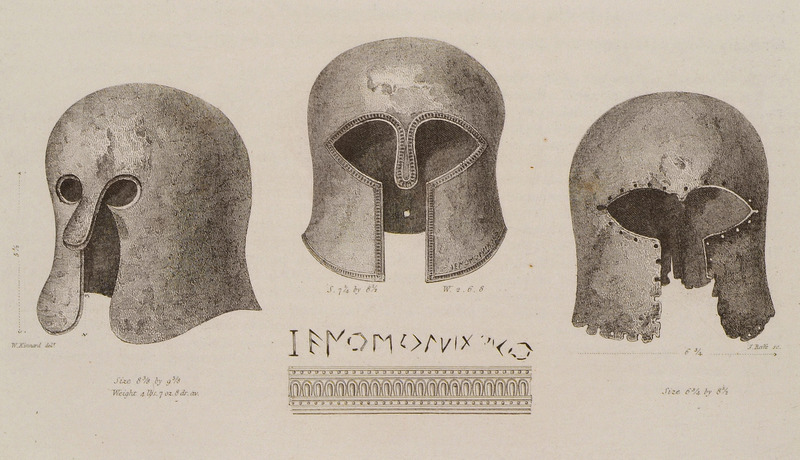 Ancient bronze helmets in Corinthian style from Patras. 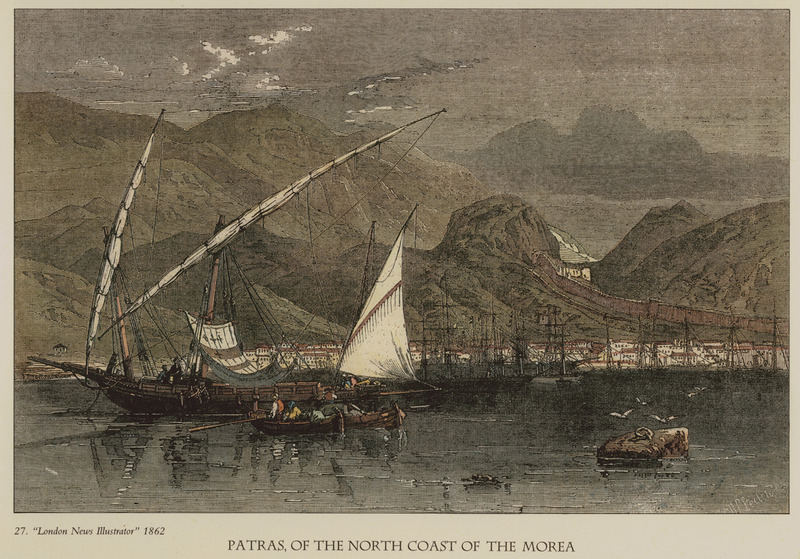 View of the port and anchorage of Patras. 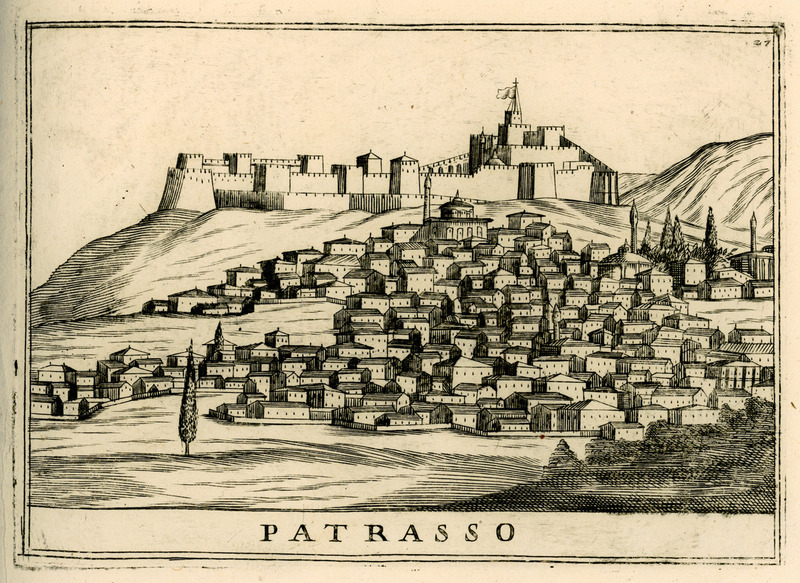 View of Patras, with particular reference to the siege of the city by the Venetians in 1687.